There were smiles all around as the first team returned to training on Thursday morning, with a majestic 5-1 victory against Villarreal still fresh in their minds. 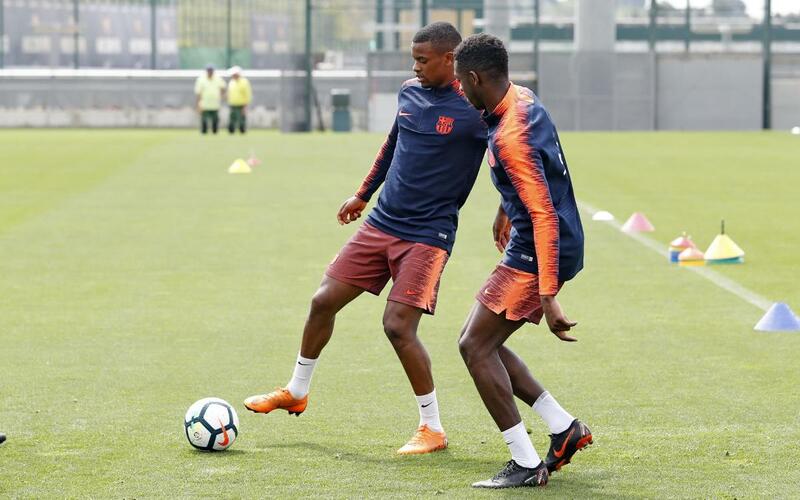 Alberto Varo and Carles Aleñá of Barça B joined the regulars on the Tito Vilanova field to assist with the preparations for the penultimate league game of the season, this Sunday away to Levante. Although the title has already been won, the players have all made it clear that the opportunity to go the whole league season without defeat is a goal that they all have their hearts firmly set on, while Leo Messi will be hoping to add to a goal count that is already looking good enough to secure a record fifth European Golden Shoe.